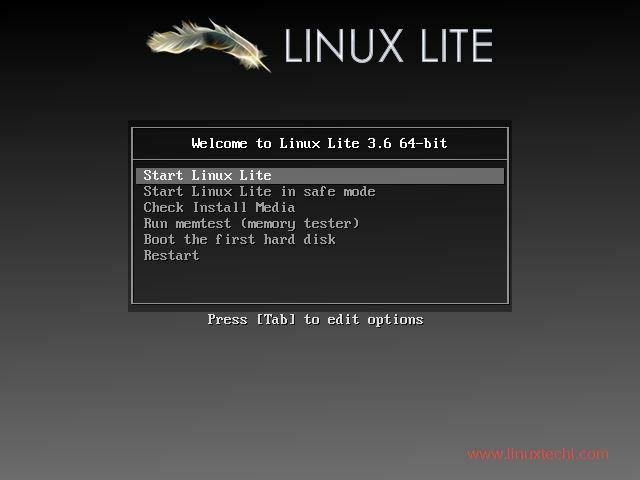 One of the major new feature introduced with Linux Lite 3.6 is the Lite Sources. It is basically a feature for you to select the nearest repository to your location in a quick manner. This means that whenever you download anything, your nearest repository will selected quickly enabling faster downloads. Lite sources can be found in the Settings menu. 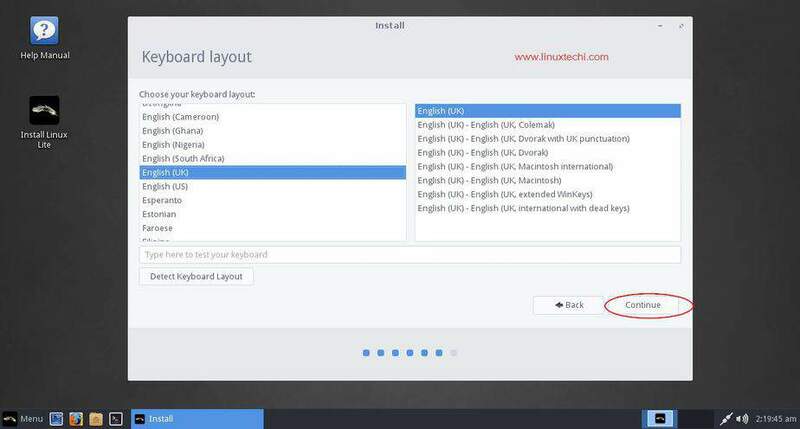 The second great addition in Linux Lite 3.6 is the inclusion of online and offline search engine feature for Help manual. Once you start your search, the search results listed below will have the keywords highlighted to enable you to locate the help content easily and quickly. 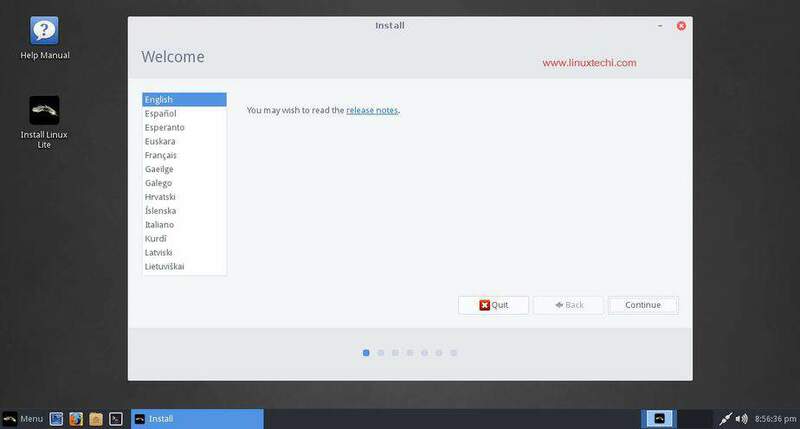 Another feature welcomed by many users is the addition of Arch theme for Mozilla thunderbird. Step: 1) Download the ISO File and create either a bootable DVD or USB stick from the ISO. You have releases for both 32 bit and 64 bit hardware. 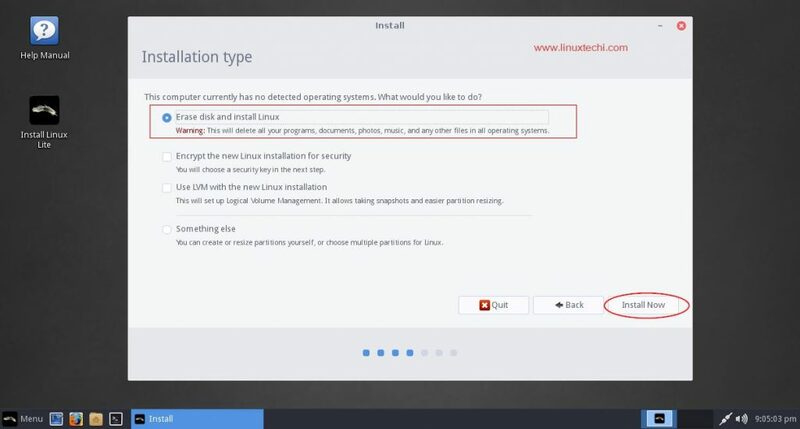 It is better not to choose the next two options (‘Encrypt the new Linux installation for security‘ and “Use LVM with the new Linux installatio1n“) unless you are an advanced user. 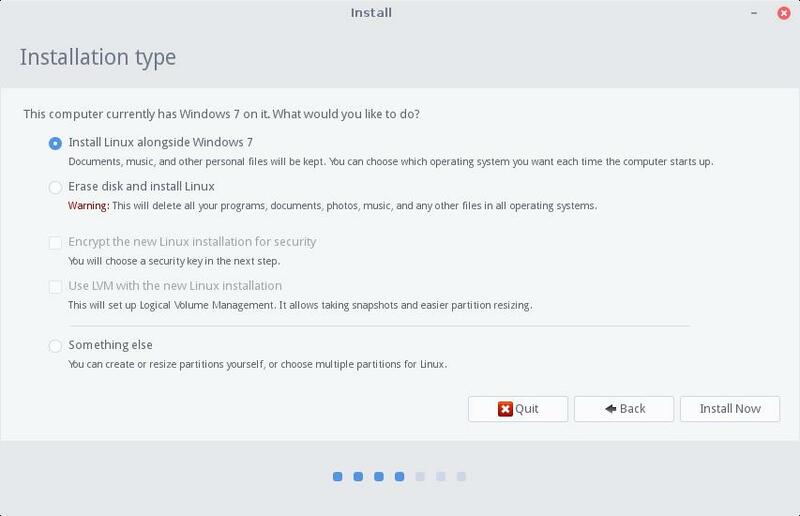 “Something Else” is also only for advanced users as it allows you create your own partition or resize the partitions or even choose multiple partitions to install Linux. Better leave it as it is. 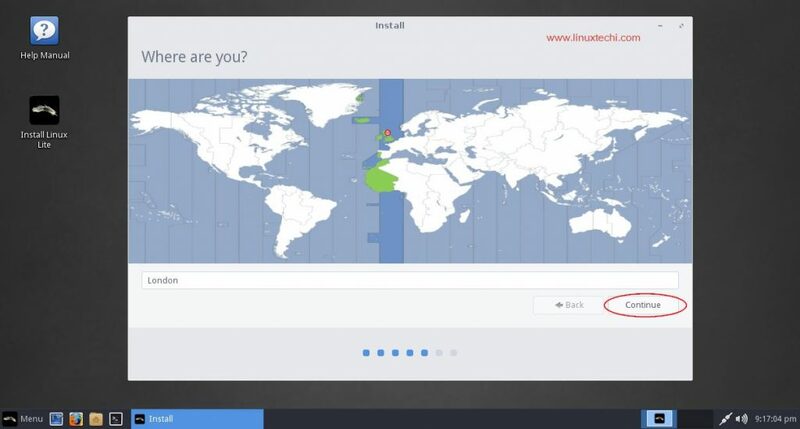 It is time to provide some details about yourself and in this screen “Where are you” select your time zone, if it not selected automatically. 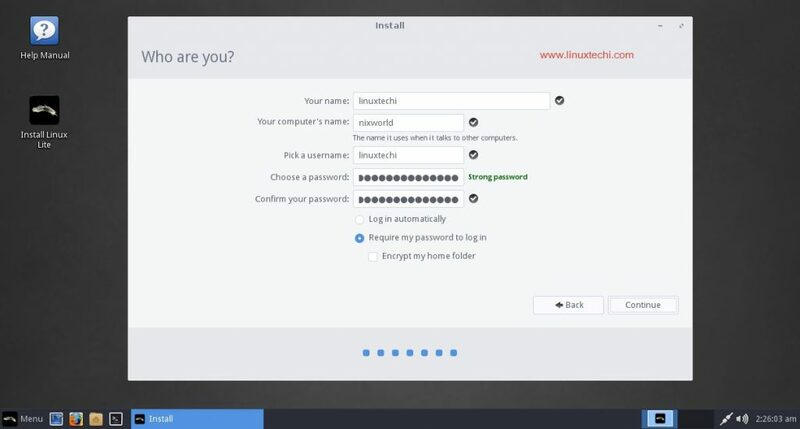 On successful login, you can see “Welcome to Linux Lite 3.6” window and you will have options to install the updates, install drivers etc. 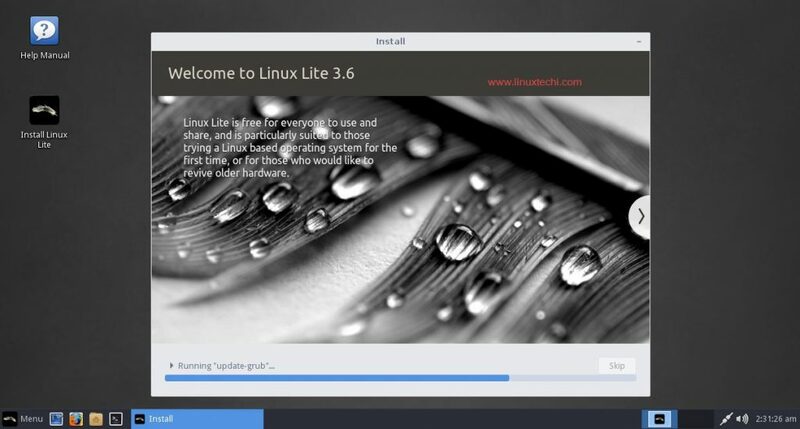 Read through the help manual to understand more about the features of Linux Lite 3.6. And that’s it!!! 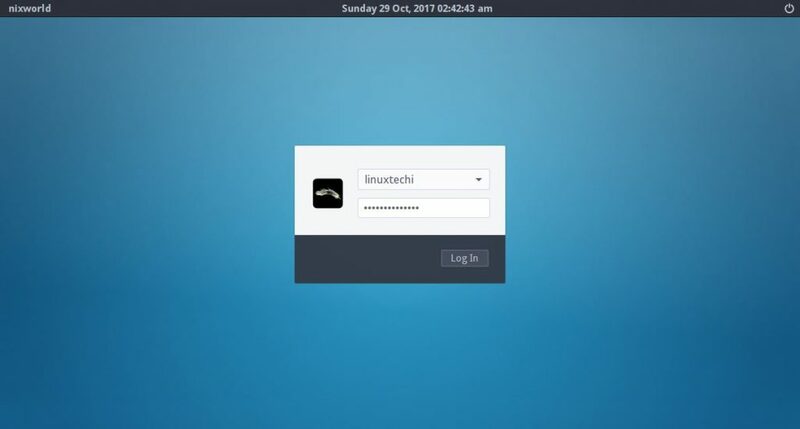 We’ve successfully completed the installation of Linux Lite 3.6 on your computer. 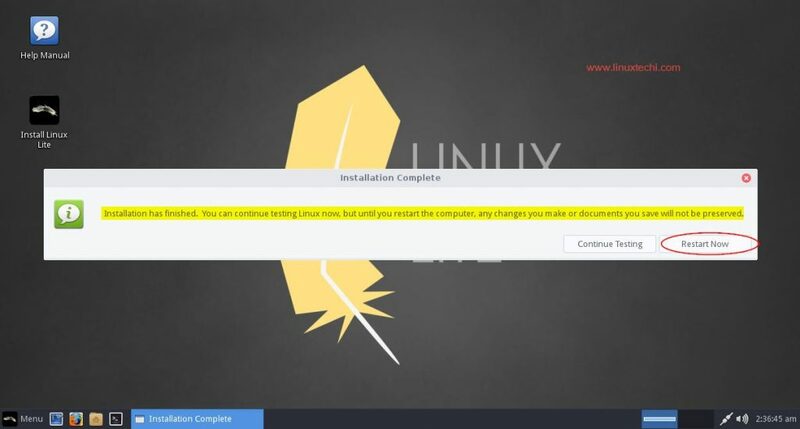 Do feel free to send us all your queries and suggestions on this article about Linux Lite 3.6 and a step by step installation guide and we would be happy to revert back with all the answers as soon as possible. Also, please post your comments about this article in the comments section below. Thank You!!! This installation of version 3.8 is taking *forever*! Almost an hour so far and it’s still on the install welcome screen. All I’ve done up to now is select the language (English) and clicked continue. And the install Dvd is merrily chuntering away. Yesterday I installed Lubuntu on the same hardware and it finished in about 30 minutes. When do you change from UEFI to Legacy and disable Secure Boot? Before installation or after? Can’t seem to find any clear instructions for this. Reply appriciated. 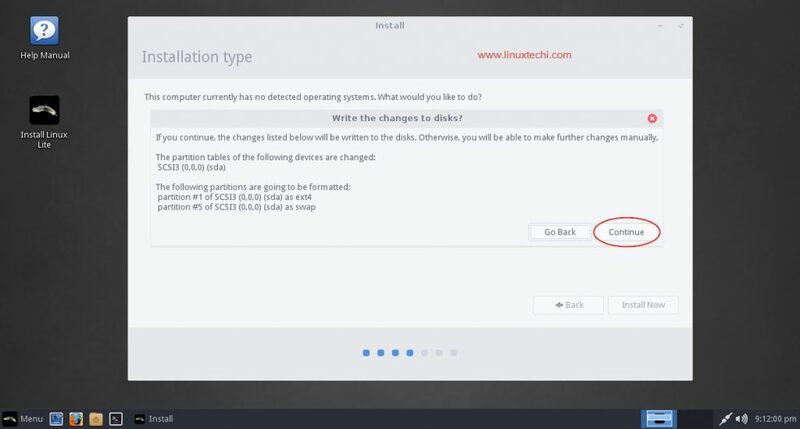 Changing boot sequence, changing to Legacy mode, and disabling Secure Boot ALL must be done before running the installation. Can anyone explain why I do not get the option to install alongside of Windows 10? I get either erase disc and install, Encrypt, and Something Else. Just these three options. How do I install for duel boot? No, I am not even close to an advanced user, but Something Else was my only option to do a dual install. I have no clue what the pop up message is even hinting at despite spending most of yesterday doing searches on Google based on that message and reading all sorts of posts way over my PC dinosaur head. 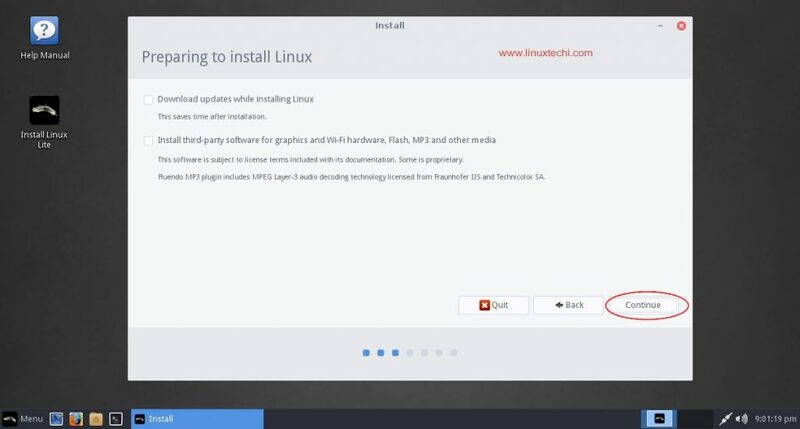 So, Linux Lite is not the user friendly OS it has been promoted to be then? Does anyone here have any idea why I have no option to boot alongside Windows 10 in my Linux Lite 3.8 installation? Spent the last two days trying to install this via USB with nothing but brick walls at every turn. I did the Win 10 defrag, pre-partitioned free space on the HDD for Linux, un-did the free space partition as well (using Mini Tool Partition Wizard from Windows 10 prior to attempting the Linux Lite install), Googled every topic I could find about Linux Lite install problems, yet every time I try to install (yes, I switched to Legacy first and arranged boot sequence to boot from USB first and made sure Safe Boot was unabled) , forced to use the Something Else option as the only recourse for a dual boot, after selecting the space to install Linux Lite on in the partition menu, I get ” No root file system is defined please correct this from the partitioning menu”. No, I am not an advanced user and I have no clue what this message even means. Every site I found this topic on went into solutions that involved opening terminals and entering codes and things way above my PC dinosaur noggin. None of the Linux Lite Installation Guides I’ve seen (including this one) mirrors what I’m seeing in my live session, despite having downloaded Linux Lite ISO from three different sources. So, any clue what I’m doing wrong, aside from trying to install this OS in the first place? Any help is greatly appreciated. Should I just stick with Windows 10 and forget Linux altogether? This article is very useful to me. I learn all the technic to guide screenshots installation with the Linux lite.